I’ve come to realize that I haven’t posted many art or craft activities over the past few months. Well, there was Fizzy Flour Paint Process Art which was awesome, but even that was before we moved out of our house in Texas more than three months ago! We just haven’t been doing arts and crafts at all. 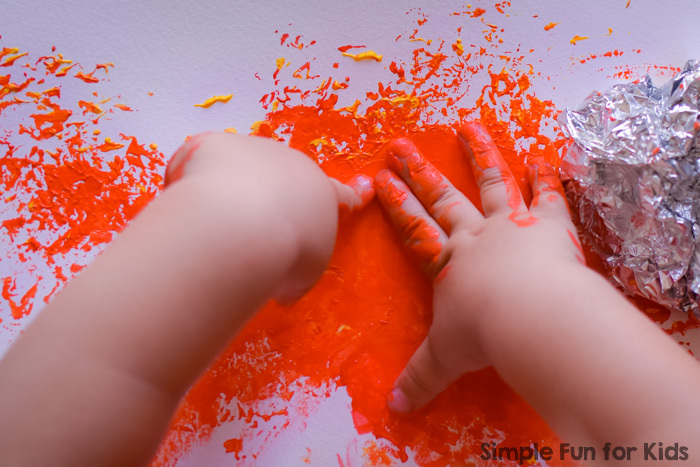 Things have changed, though, as N has started asking to paint on an almost daily basis, so we’ve come up with a few fun things that I can’t wait to share with you! 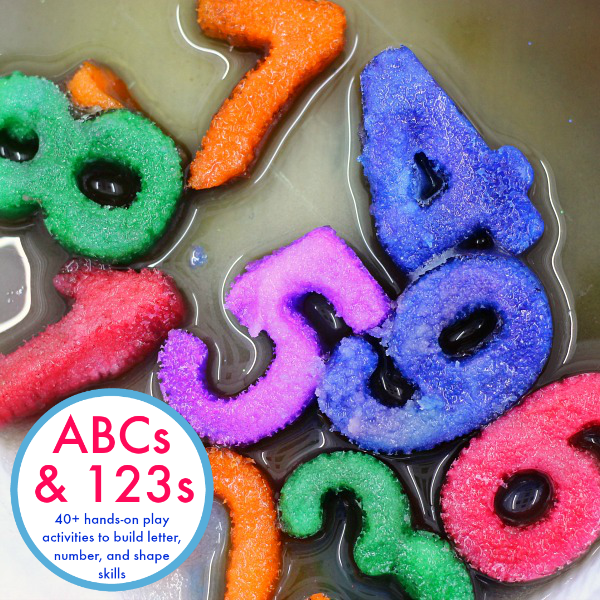 We all had great fun with this simple Textured Apple Craft! E at almost 6 went about it completely differently than 2-year-old N, but they both worked happily side by side and both ended up with a cute result that they’re proud to see on our living room wall. And it was so easy to do! (E was 5 years and 9 months old. Pencil to draw an apple. Or simply use a template if you’re not comfortable drawing your own. 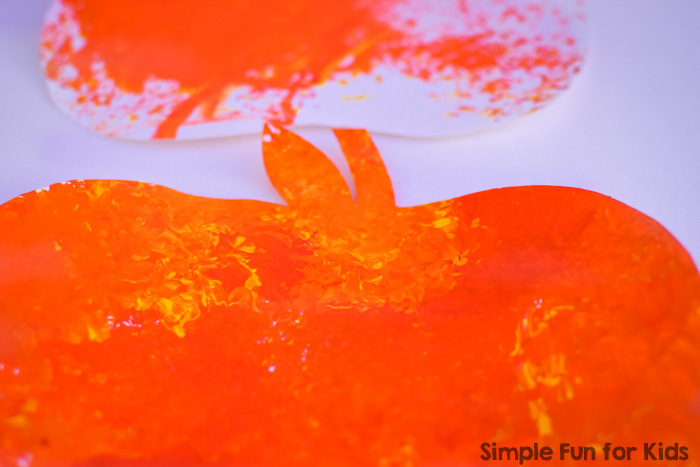 Tempera paint in apple colors. Tray or cookie sheet to work on (optional). 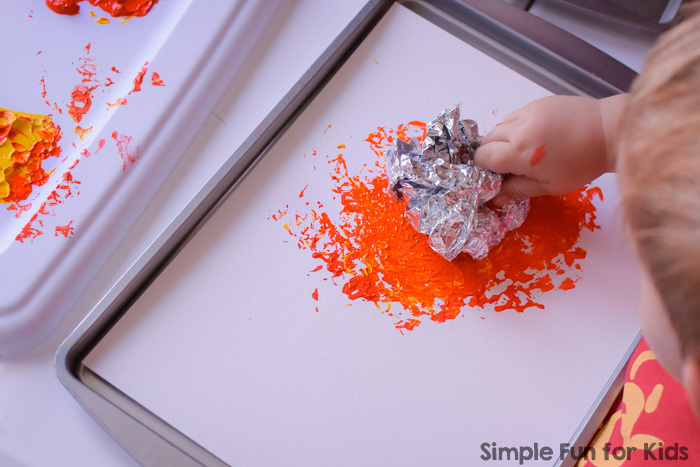 I set up a cookie sheet and a large plastic lid with two colors of tempera paint for each child. 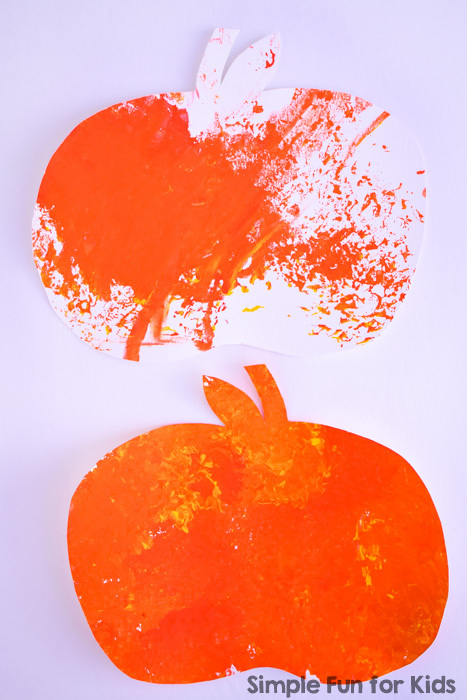 I cut E’s sheet of watercolor paper into an apple shape before giving it to her but left N’s sheet intact. 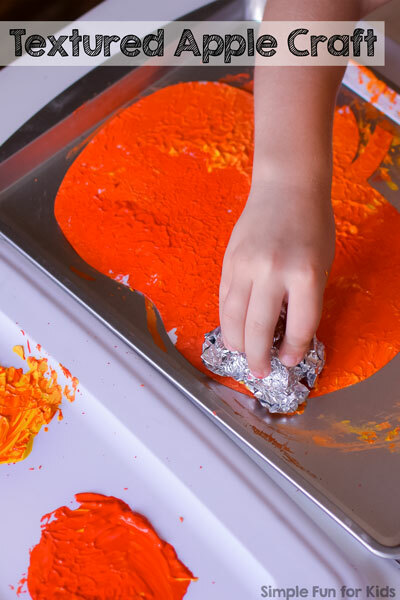 But when they saw how easy and fun it was to paint with this unusual material, there was no stopping them. E was very methodical and made sure she didn’t miss any spots on the paper. 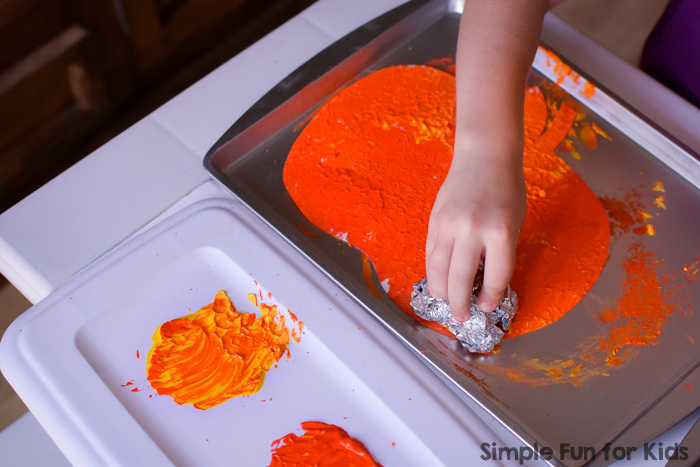 I didn’t give any instructions for how to use the aluminum foil, and the paint came out beautifully textured! The paint on E’s textured apple craft flattened slightly as it dried, but even dry, there was still a little bit of texture to it. It did all turn out quite orange rather than red and yellow, but I love the effect of the two colors of paint she achieved in some places! After both sheets of paper had dried, I cut N’s sheet into an apple shape to match E’s and hung both their artwork on the wall 🙂 I think they go perfectly together! 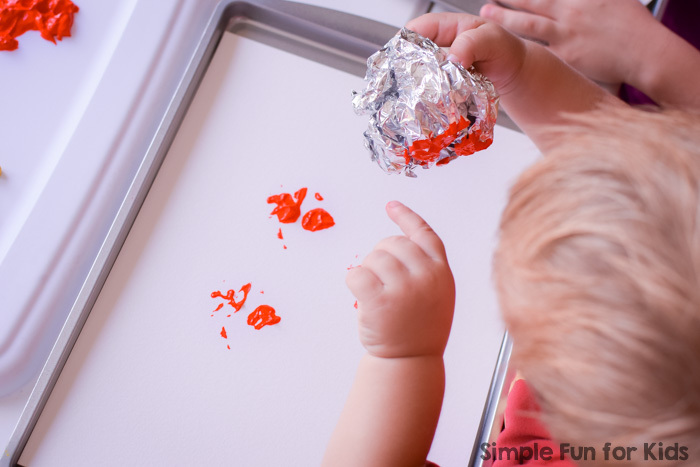 Have you tried painting with aluminum foil? What’s your favorite way of painting without paintbrushes? Leave a comment below! If you’re looking for more apple-related activities to celebrate fall, I’ve got you covered!